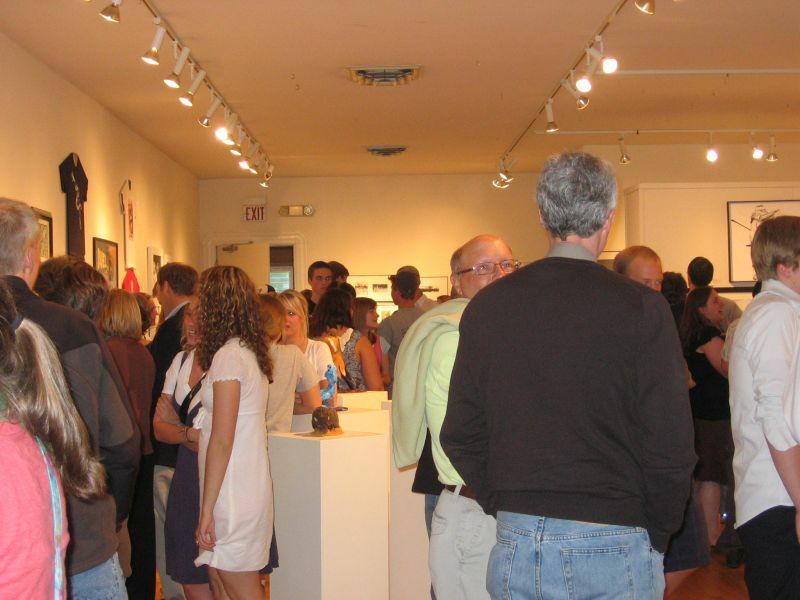 The much-anticipated Annual Northfield High School Honors Art Show offered an opening reception to the community on Saturday night. It was very well attended by art appreciators of all ages. The show features work by the students in the High School’s Honors Art Class, led by Katherine Norrie. This year’s emerging artists are: Phoebe Currier, Gus DeMann, Gerrit Duys, Marie Fischer, John Frazier, Madi Fritzke, Paloma Garcia, Anders Hanson, Ashley Jahnke, Claire Johnston, Kellen Kirchberg, Jared Korbel, Kristen Mace, Clara Reitz, Ben Smith, Natalie Stangler, Kristen Strobel, Matt Taylor, Siri Thompson, and Ashley Tollefson. Their work is well worth viewing. The show runs through Saturday, June 14th. For more information, see the Northfield Arts Guild website. So come on down(town), check out the show, and celebrate some of the artistic vitality of Northfield. Today I finally stopped by to look at the Honors Art Show. I had seen some of the pieces at Arts a la carte earlier this spring. However, being shown in the Guild space, and so carefully hung and mounted gave them a chance to really shine. As I always am, I was impressed with the variety of ways the students use materials and their imagination to express visually an idea or feeling. In addition to revealing individual creativity and imagination, the show points up what fabulous teaching and mentoring the Northfield students are receiving.